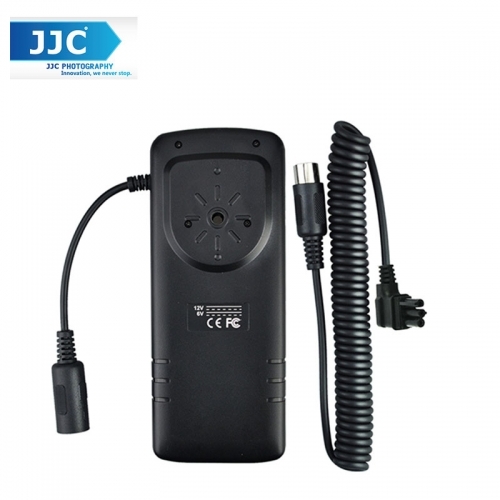 JJC BP Series External Flash Battery Pack are designed for photographers making use of flash extensively. The battery pack is a high performance battery pack that reduces recycling time and increases flash capacity. 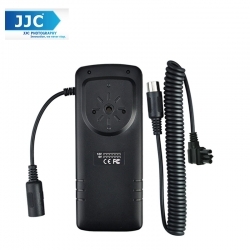 Moreover, just by replacing connecting cords, it will work with different brands of flashes, including Canon, Nikon, Sony, Pentax, etc. You can install four or eight AA-type batteries in the pack to ensure a stable power supply for your flash, and can get a greatly increased number of flashes and a shortened recycling time. The battery pack is equipped with a 1/4"-20 screw, allowing you to mount it onto the tripod socket of your camera. The included soft case protects the battery pack from accidental impact and allows you to attach the battery pack to your belt for a more convenient use. Using 4 Fujitsu AA Ni-MH Batteries (2450 mAh) in the flash and 4 or 8 Fujitsu AA Ni-MH Batteries (2450 mAh) in the battery pack. Flashes are set to full power (1/1).